California state insurance officials have made quite the leap in women's reproductive rights, dictating that insurance companies cannot sell group plans that exclude abortion and reversing a previous decision that allowed two Catholic universities to exclude elective abortions from their health care plans. 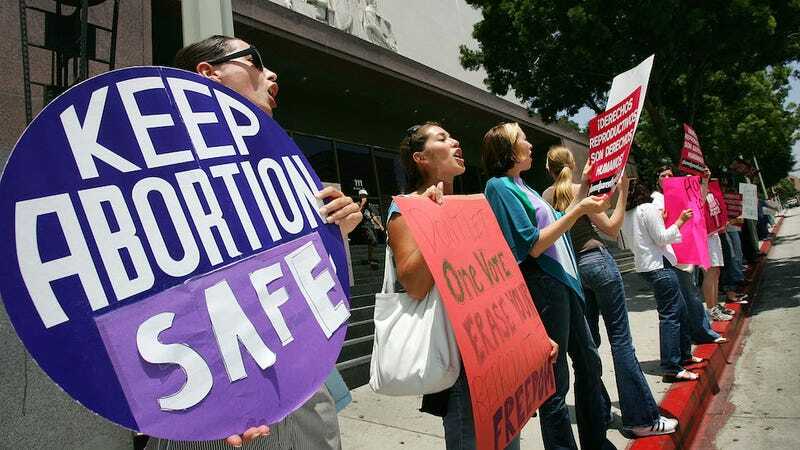 In a letter sent to seven insurance companies on Friday, Michelle Rouillard, director of California's Department of Managed Health Care declared, "Abortion is a basic health care service…All health plans must treat maternity services and legal abortion neutrally." The two insurance companies told the San Jose Mercury News (http://bit.ly/1t2Pjgu) that they would comply with the directive. Loyola and Santa Clara representatives said they would explore their options with Anthem Blue Cross and Kaiser Permanente. Of course, pro-life groups Life Legal Defense Foundation and Alliance Defending Foundation are hopping mad and have threatened to file a civil rights complaint with the federal government unless of course the state decides to reverse their (already reversed) decision. For now, good job California!